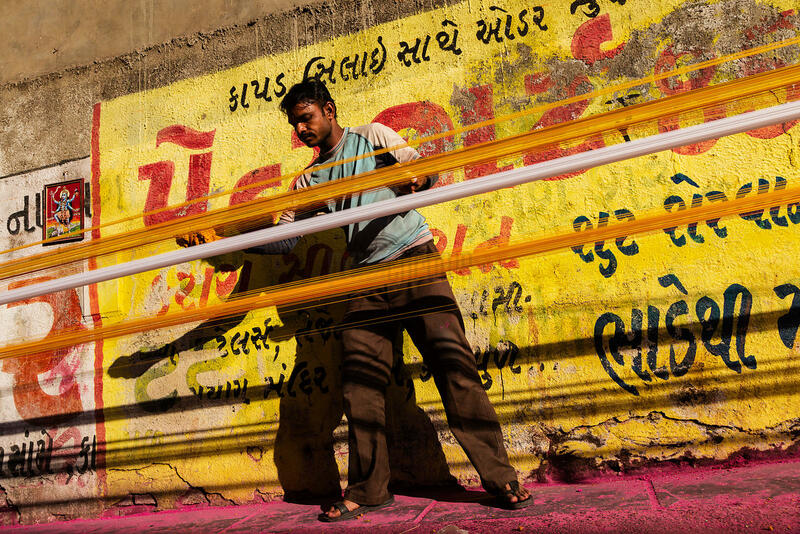 Indian workers prepare coloured kite threads in a street in Ahmedabad on January 8, 2015, ahead of the Uttarayan or Kite Flying festival. 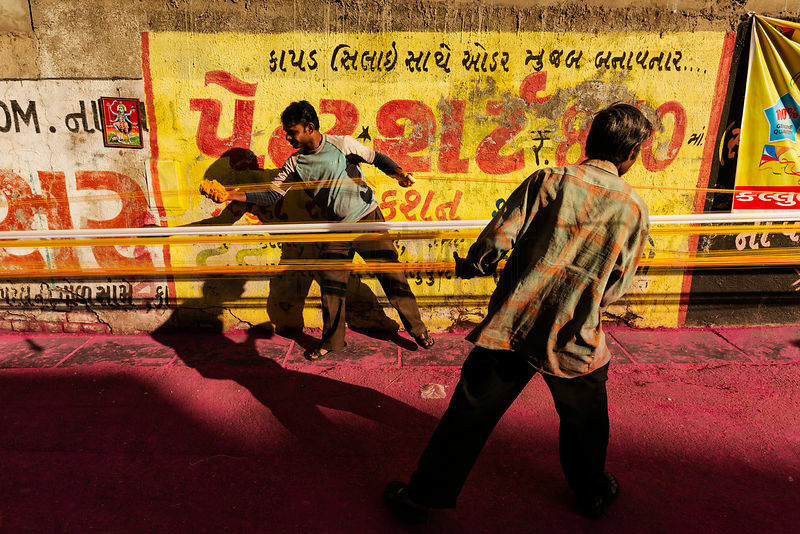 'Uttarayan' which falls on January 14, every year in Western India's Gujarat state, is marked with celebrations involving the flying and battling of kites. Hundreds of birds die & thousands get injury because of the strong strings. 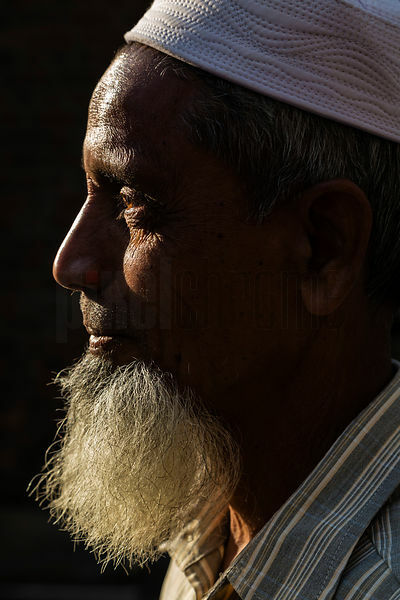 Many human beings too are affected.